Your birthday is a time to celebrate you, but that isn’t always easy when you’re on a tight budget. But having a good time on your birthday doesn’t have to cost you a fortune, sometimes it doesn’t have to cost you anything! 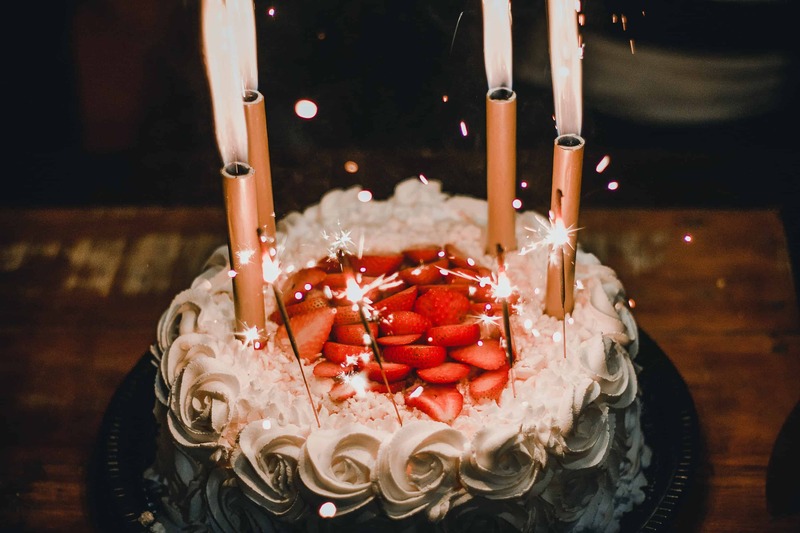 Check out these tips for how to have a great birthday without spending all your money. A&W – Free birthday A&W Root Beer Float when you join the Mug Club. Applebee’s – Free birthday treat when you join the Eclub. Au Bon Pain – Free birthday lunch when you join the Eclub. Auntie Anne’s – Free birthday pretzel when you download the My Pretzel Perks app. Aveda – Free birthday gift valued at $23 when you create an Aveda account. Baja Fresh – Free birthday treat when you join Club Baja. Baskin-Robbins – Free birthday ice cream when you create a Baskin-Robbins account. Benihana – Free birthday $30 gift certificate when you join the Chef’s Table. The Cheesecake Factory – Free birthday ice cream when you tell your server! Chili’s – Free birthday dessert when you sign up for My Chili’s Rewards . Del Taco – Free birthday Premium Shake or 2 free birthday grilled chicken tacos when you join the Raving Fan Eclub. Denny’s – Free birthday Grand Slam breakfast when you tell your server! Dickey’s Barbeque Pit – Free birthday Barbeque Sandwich when you join the Big Yellow Cup Club. Dippin’ Dots – Free Dippin’ Dots on your birthday when you join the Dot Crazy! ® Email Club. Dunkin’ Donuts – Free birthday coffee when you sign up for DD Perks. Firehouse Subs – Free medium birthday sub when you sign up for Firehouse Rewards. Houlihan’s – Free birthday entrée when you join their email club. IHOP – Free birthday meal when you sign up for the Pancake Revolution ®. Jamba Juice – Free small birthday smoothie when you sign up for Jamba Insider Rewards. Jersey Mike’s – Free regular birthday sub and drink when you join their email club. Krispy Kreme – Free birthday donut when you sign up for Krispy Kreme Rewards. Panera Bread – Free birthday pastry when you sign up for MyPanera. Red Robin – Free birthday burger when you sign up for the Red Robin Royalty program. Redbox – Free one-night birthday rental when you get a Redbox play pass. Sonic – Free birthday Cream Slush, Tater tot, or drink when you create a My Sonic account. Starbucks – Free birthday drink when you sign up for Starbucks Rewards. Wendy’s – Free birthday Frosty when you join My Wendy’s. Most of these places require you to be a part of their loyalty or rewards program to receive a birthday perk, sign up before your birthday to make sure you can take advantage of these cool offers. Buying party decorations is a drain on your birthday budget. If you purchase all your decorations at a party store, you are going to spend at least a hundred dollars on paper banners, streamers, and confetti that you are going to tear down and throw away at the end of the night. That’s money literally in the garbage. Save loads of money by making your own decorations. Pinterest is filled with DIY projects that look better than anything you could buy in a store. You can personalize your decorations with your name or pictures of you with friends and family. Making decorations can also be a fun pre-party event. Invite a few friends over and spend the night making fun crafts to hang up at your birthday bash. The older we get, the more content we are with a low-key birthday dinner with close friends and family. But even this can get expensive if you go out to a restaurant or even just for drinks. Skip the bill at the end of the meal and invite your loved ones over for a potluck dinner. Usually in a potluck meal each guest will bring their favorite dish, but it’s your birthday, so everybody should bring your favorite foods! Think about your favorite appetizers, main plates, and desserts. Tell everyone what you want them to bring or have them surprise you. See if your pals and relatives know you well enough to bring your favs on their own. Okay, so you had your friends and family over for a great meal, now what are you all going to do? Keep you and your guests entertained by starting a tournament. It doesn’t matter what time of year your birthday is, there are things you can do both inside and outdoors that will keep everybody happily occupied for hours. If you want to spend time outside, get sporty with a tournament of physical activities. Games like basketball, volleyball, flag football, or frisbee require little equipment. You can split up into teams and play until the sun goes down. Whichever team has the most points by sundown wins. If you were born in winter, or you’re just not feeling like getting sweaty on your birthday, you can have a tournament of indoor games. Wii-fit games are surprisingly fun when you are with a group of friends. Or, take a break from the screens and play some old-fashioned board games: Twister, Monopoly, or Battleship are some old-school classics that only get better with time. A little alcohol never hurt the situation either. Take a shot any time another team gets a point, buys a hotel, is sent to jail, or takes down a battleship. Give back on your birthday by doing some volunteer work with your party group. You can all still get together, talk, and have fun, but you will also be helping out those less fortunate than yourselves. What better present is there? Feed My Starving Children (FMSC) is an excellent organization to get involved with if you want to volunteer with a larger group of people. FMSC sends life-saving meals to children in the regions of Africa, Asia, the Caribbean, Europe, the Middle East, North America, Central America, and South America. When you volunteer, you hand-package rice, soy, dried vegetables, and a nutritionally complete blend of vitamins and minerals, which are then shipped to children in need around the world. One packing shift is 2 hours. Check the FMSC website for packing times at their various locations. Habitat for Humanity is another fantastic organization to volunteer for with friends and family. Habitat for Humanity works with 1,400 communities across the United States and in approximately 70 countries around the world. The organization builds and repairs houses for families struggling to do so on their own. Spend the day putting up walls, laying down grass, or painting a bedroom with your birthday group. You and your gang will feel the love, and maybe a little muscle soreness, right away. The important thing is that you are with your loved ones on your birthday. Ultimately, it doesn’t really matter what you do, it just matters who you are with. But thankfully there are plenty of affordable ways you can get together with the people you love and have the enjoyable birthday you deserve.